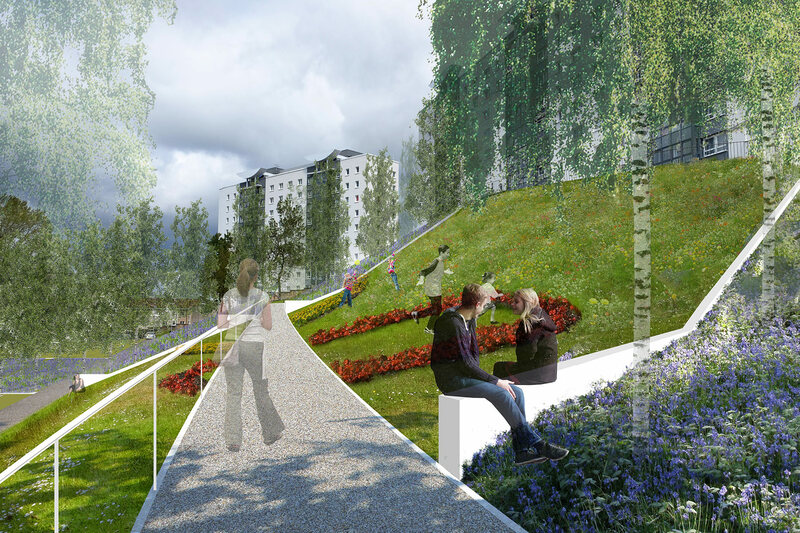 Our designs for Halfway Park focus on creating opportunities for the flat dwelling residents of Cardonald to go outside. 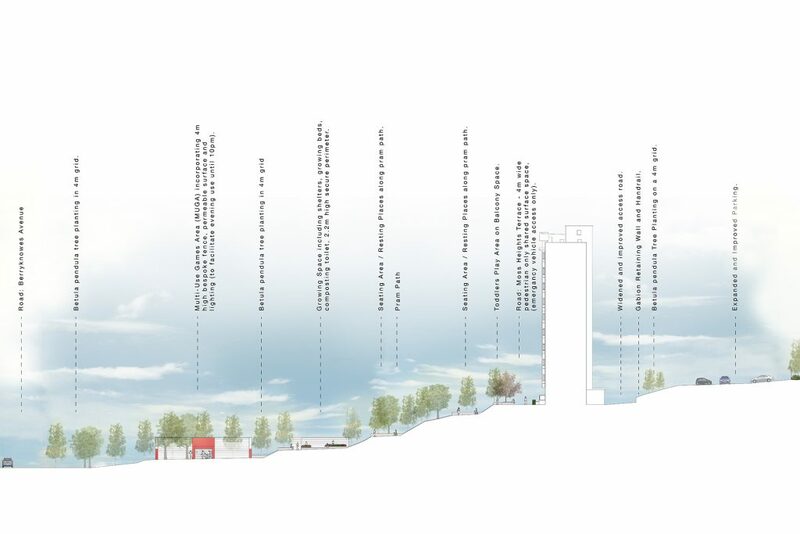 It is therefore crammed with things to do and focusses on creating easy access and good circulation on a steeply sloping site. 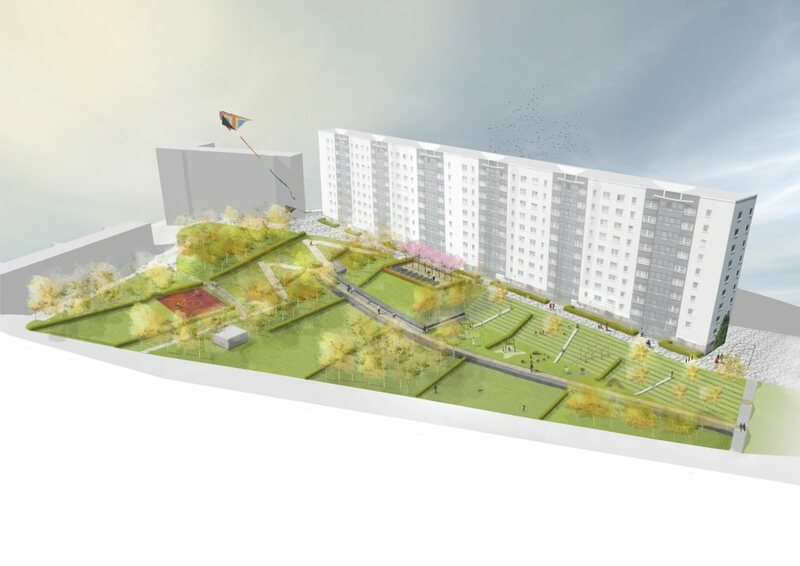 The park will transform “urban green desert” into vibrant and active public space, with natural and traditional play, sports facilities, public art and growing spaces. 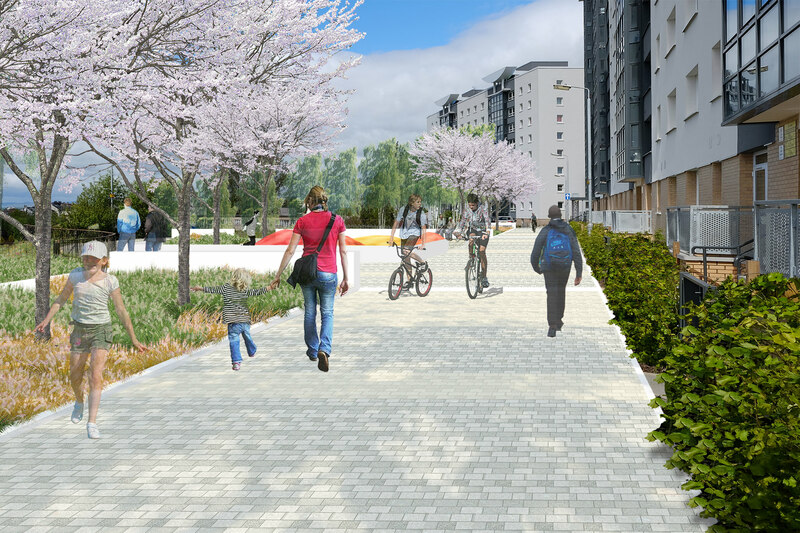 There will be urban woodland and meadow planting which will create human scale and help deal with water flow. A new homezone allows the children of Moss Heights to play in the lane beneath the flats, where the parents can over see them, as per the intentions of the original designers in the 1950s. 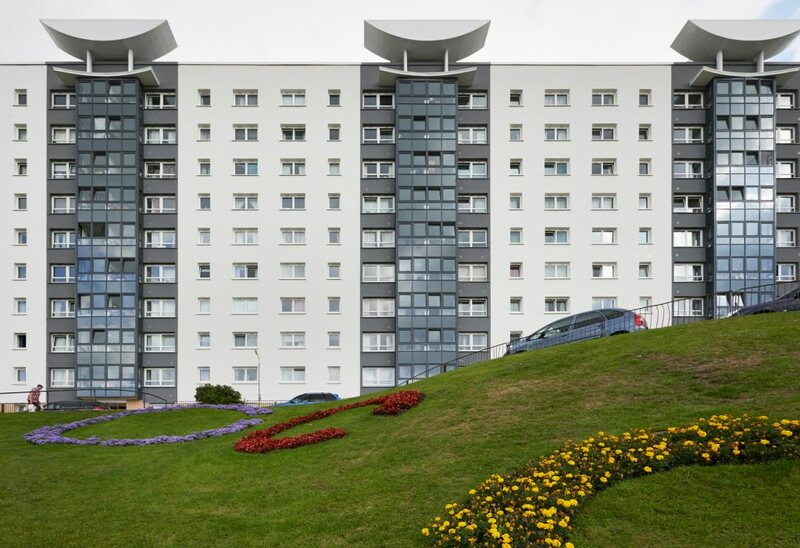 The car access is removed and the car parks to the rear of the flats put back into full use. 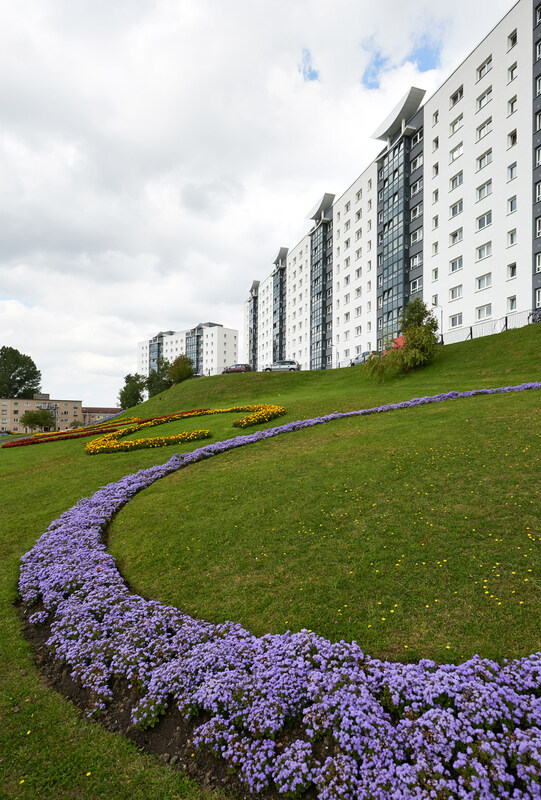 Phase one started with a Commonwealth Games inspired floral display, and the provision of front gardens to the lower flats. 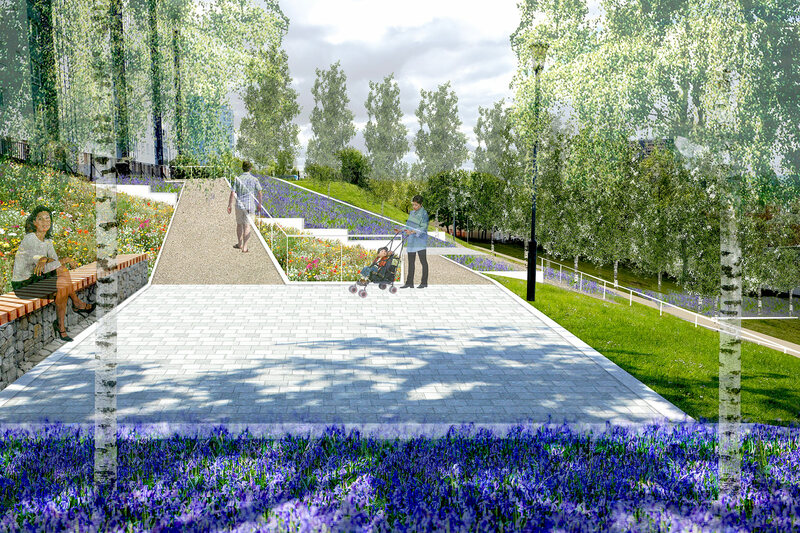 Phase 2 is an apprentice scheme to commence the laying of paths and planting of trees.